Ari is Iceland’s biggest comedian. Born and raised in Reykjavík. 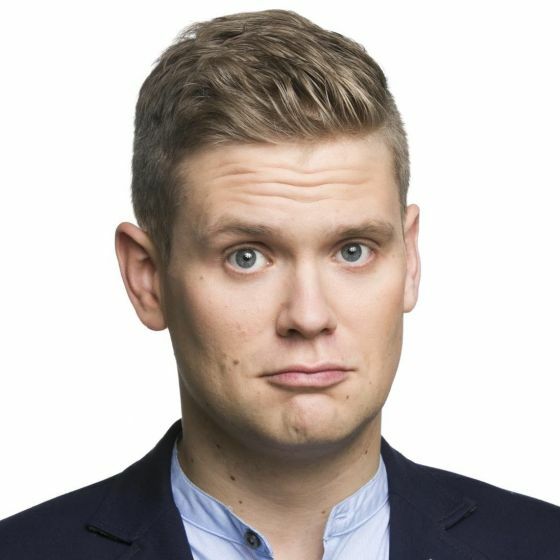 “Pardon my Icelandic” is his debut solo show in English. This Spring, Ari returned to London for a massively successful week-long run at the Soho Theatre. He then made his Australian debut at the Melbourne International Comedy Festival. Can speak fluent Danish, Finnish, Swedish, Norwegian, English, American, Scottish. The Arts Hour on Tour (TV, 2018) BBC World Service. Mock the Week (Theatre, 2018) Himself.BBC2. The Arts Hour on Tour (TV, 2017) Himself. BBC World Service. Welcome to Wherever You Are (Radio, 2017) Himself. BBC Radio Four. Pardon My Icelandic (Stand-up, 2017) Himself. Melbourne International Comedy Festival. Pardon My Icelandic (Stand-up, 2017) Himself. Soho Theatre. Mið-Ísland (TV, 2012) TV Series.